Happy Saturday and Happy New Year! I'm kind of happy all the holidays are over for the next few months. This whole having a Thursday off and then going back to work for one day really messes up my schedule. Today feels like a Tuesday. At least I got to sleep in and don't have to go to work, especially because I think the weather today is going to be freezing! 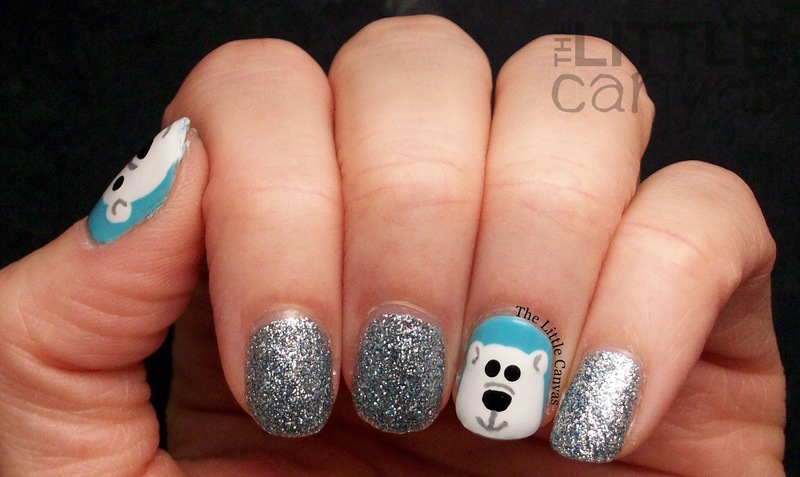 Since the weather has gotten so bitterly cold, it's the perfect time to post my polar bear manicure! These nails were inspired by Adventures in Acetone! Amanda from Fashion Footing sent me the design ages ago and I put it on the top of my to-do list. I wasn't a fan of them when I first re-created the design, but after a day I fell in love. Let's take a look! 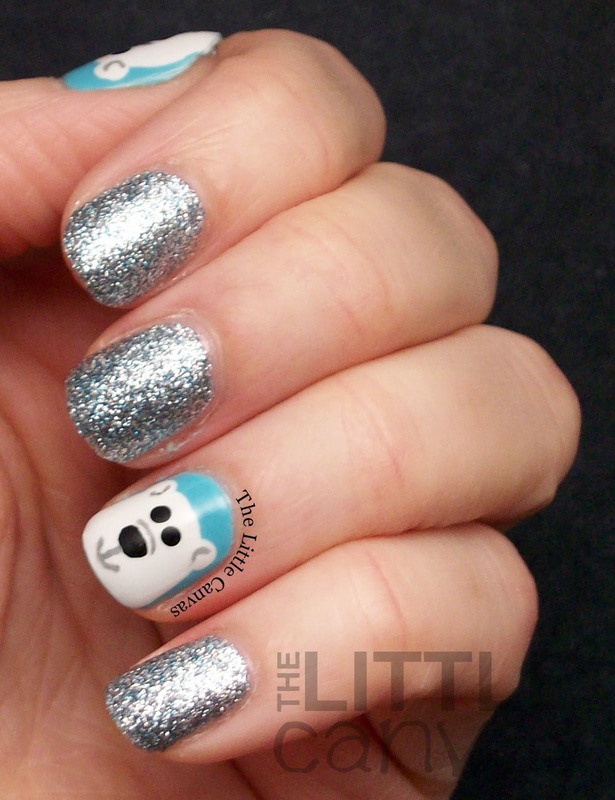 It's been forever since I did a cute animal manicure! 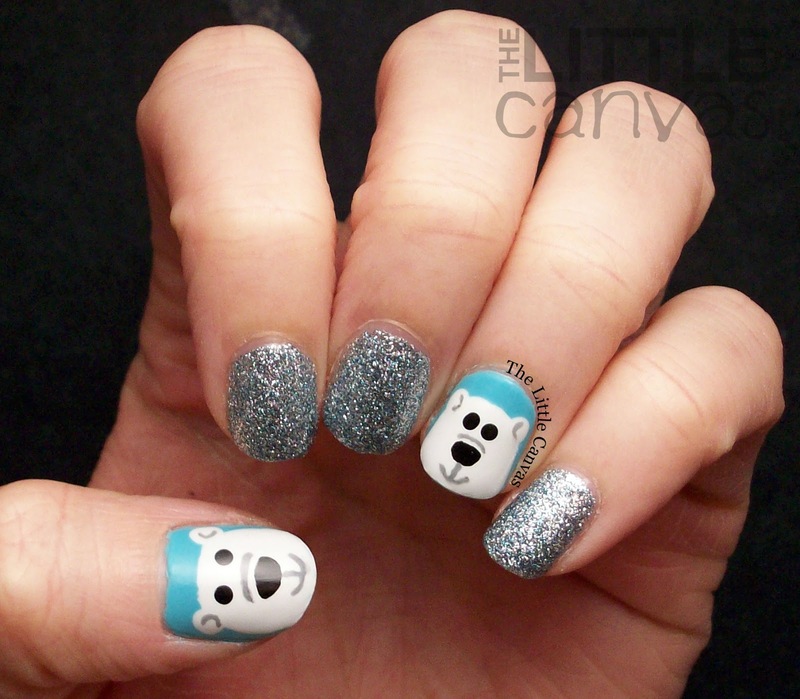 Kind of missed having little critters on my nails! I followed Adventures in Acetone's tutorial and started off with a base coat of a blue polish. I used Capacity to See Beyond because it matched very well with the FingerPaints glitter. When that was dry, I used the brush of My Boyfriend Scales Walls and created the little head. With my dotting tool, I added the ears. I then went through with my nail art brush and added the grey details, followed by the black ones. 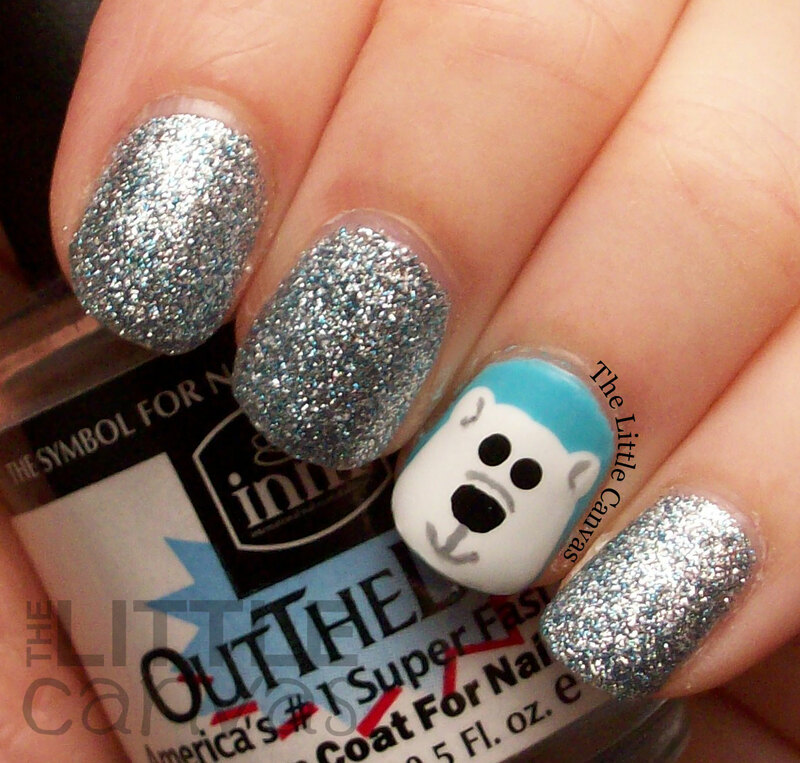 The glitter polish is FingerPaints Ho Ho Happy Holidays from the Winter Wishes collection. Now, if you know me, you know I hate removing glitter, so I rarely use it. I used so much glitter in this manicure because I have a new gel glitter remover which I will be reviewing in the next few days on the blog, so stick around for that! Anywho, this glitter polish is a silver and blue microglitter in a clear base. In two coats you have full coverage, but I used three for extra sparkle and bling. If you're going to use glitter, go big or go home. Plus, it was really worth it in the end. Look how sparkly! And see how the blue flecks match Capacity to See Beyond!? What do you think of the manicure? Loving the look? You still can pick up bottles of the Winter Wishes collection by FingerPaints at Sally Beauty Supply Stores. I saw full displays of them at two different locations where I live!